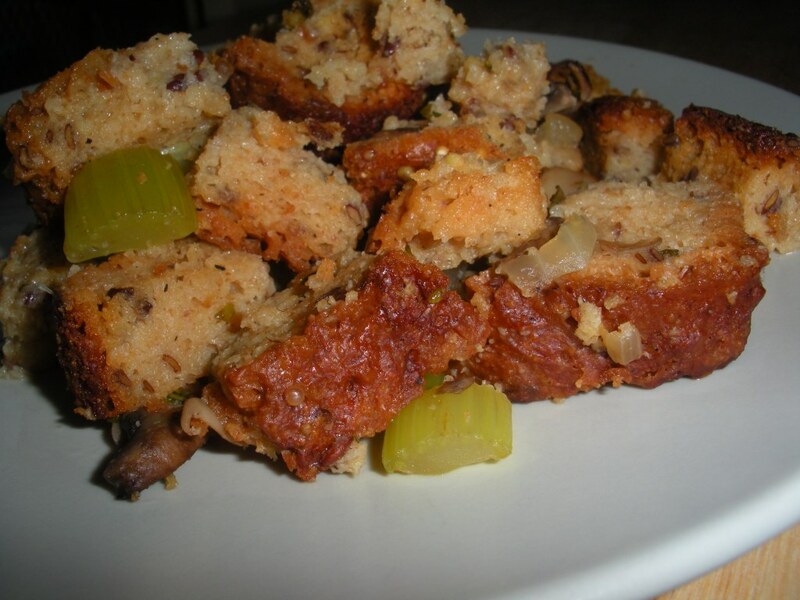 For those counting carbs this holiday season, or for those with gluten allergies, this savory stuffing recipe from French Meadows Bakery is the perfect solution! Heat olive oil in a large skillet. When hot, add onions, celery, salt and pepper. Sauté for about 4 minutes, until translucent. Add mushrooms and cook until tender. Stir in fresh herbs and set aside. In a large bowl mix bread pieces, mushroom mix and 1 ½ cups hot broth. Stir to combine and pour into 9 x 13″ greased pan. Pour 1 cup hot broth over the top and cover with foil. Bake for about 25 minutes, remove foil and bake for about 10 more minutes.